2 mission event on Saturday 18th August 17:00 Zulu (20:00 FI). Estimated players +-100. Minimized modpac with Vanilla units and ACE3 A-medical. Downloadable through AFI-sync. Our intention is to try and lower the bar of participating in the event as low as possible. Airborne assault on two harbours. 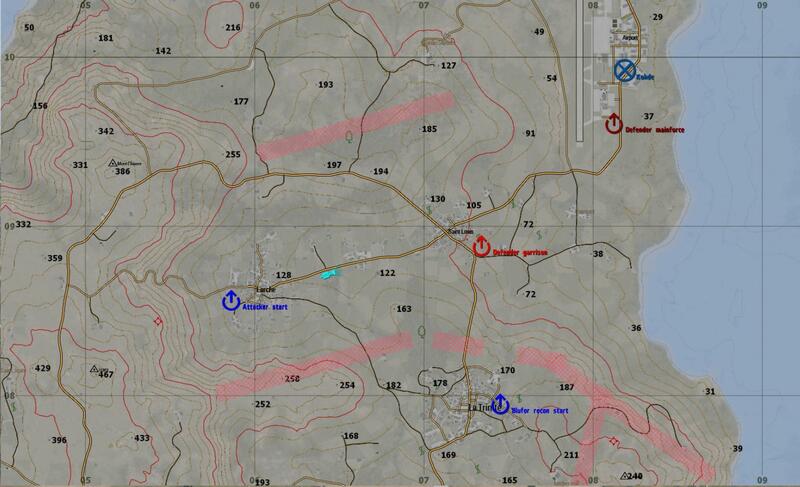 Defenders start out with a small unit at the AO and will be reinforced later by a QRF. Attackers assault form the south or/and east. Defenders QRF approaches from the North. Mechanized assault on Malden airfield in North East. Defenders has an FOB and a Main AO, both must be defended throughout the mission. The defending force has laid substantial minefields in the AO to protect its flanks. The attacker force is split into Main- and Recon elements and is attacking from the South. 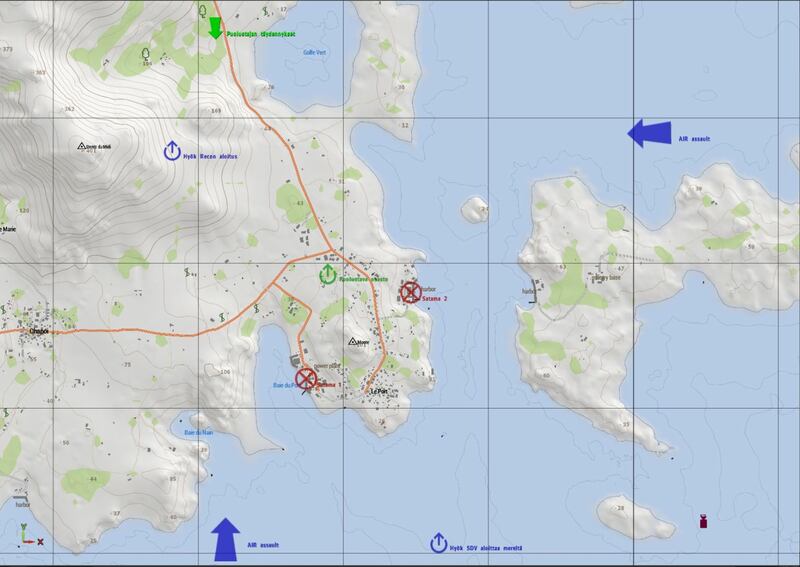 We will try and get multiple Arma communities to collaborate/participate in this. We may have a joint element where English capable players from different communities may join and form connections. Our aim is to have the missions/mods/server ready for testing a week before the event. We strive to have each mission preplanned and preslotted beforehand. We also aim to minimize the mission setup times. At the earliest the event can be held at the end of next month (7th). It is more likely to be held in august (8th month). 4. See notes above - Support participation! Last edited by Bummeri on 04 Aug 2018, 18:16, edited 4 times in total. First post cleaned up and details fixed. This is a very early version! Read the notes in the documents and below! Mind the common sections. These are in need of interested and talented players. Last edited by Bummeri on 04 Aug 2018, 13:36, edited 2 times in total. To be clear. Did you want people to show interest for the common roles in this thread or by commenting on the document (document view only and no comments available)? I´m available for R1 if needed. It was posted in discord but lost to the pages. Last edited by JoneKone on 18 Aug 2018, 09:34, edited 2 times in total.